by Henry Williamson Author · Jeremy Gavron Author of introduction, etc. In the wild there is no safety. 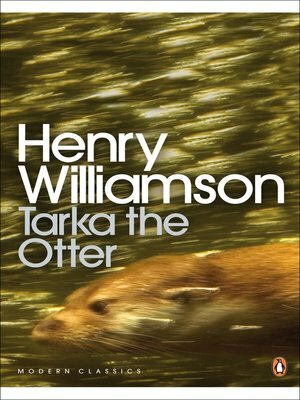 The otter cub Tarka grows up with his mother and sisters, learning to swim, catch fish – and to fear the cry of the hunter and the flash of the metal trap. Soon he must fend for himself, travelling through rivers, woods, moors, ponds and out to sea, sometimes with the female otters White-tip and Greymuzzle, always on the run. Eventually, chased by a pack of hounds, he meets his nemesis, the fearsome dog Deadlock, and must fight for his life. Jeremy Gavron is the author of five books, including The Last Elephant: An African Quest, and three novels, Moon, The Book of Israel, which won the Encore Award, and An Acre of Barren Ground.